It's 35°F , Fair, and Feels Like 27° While words come flooding to mind like renewal, cleaning, Easter, and fresh beginnings, the chill of winter still has me clutched in her icy grip. Nonetheless, I find myself optimistic. 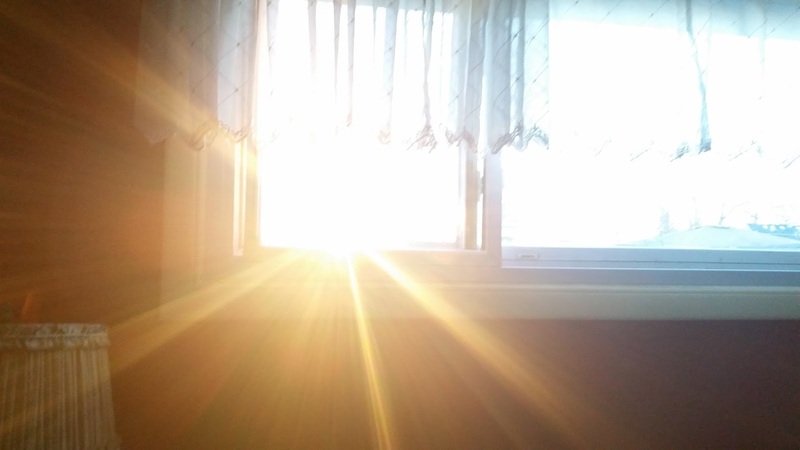 My friend, on the other side of the glass, provides me with the promise of warmth and hope on this glorious first day of Spring. I agree - spring is a time for renewal and reflection. A time for new beginnings and goals. Let's hear it for the beautiful sun in our sky!!!! It warms us up even though the temperature is frigid. Happy Spring, Dar! Oh the icy grip of winter. I will mourn its loss. I know I am lonely in my stance over here but here I will stay. :-) Happy Spring to you. We have had a cool down here. It may actually freeze tonight. I am glad I waited to plant til April. The birds are starting to nest and flowers are blooming. I love Spring too, except for allergies. 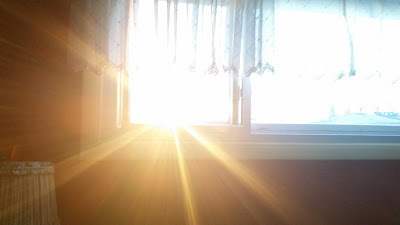 Spring does seem so friendly...shining through your window!